Sri Lanka perhaps is the only democracy where 'One Vote - One Value' concept is not practised. In the 2004 General Elections, the JHU received 552,724 votes and obtained 7 district basis seats, whilst the Tamil Front received 633,654 votes and obtained 20 district basis seats. In effect, each JHU seat has a value of 78,960 whilst each Tamil seat has only 31,682. North & East electors were therefore able to get at least 2 MPs against 1 MP in the South for the same vote value. Contrary to the popular belief, this anomaly is not due to the lower voter turn out in the North & East, but due to the bloated electoral rolls. The North & East still register 1,983,946 voters, but in reality only a fraction of that population now live there. The mass migration of Tamils to the Western World and to Colombo during the LTTE era diminished the northern Tamil population. 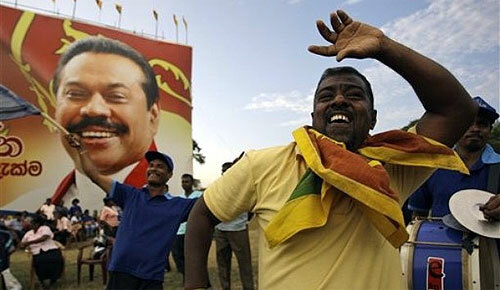 Canada, US, EU and UK alone now record a Sri Lankan Tamil Diaspora of 1 million. The Sri Lankan electoral rolls however, still maintain the old numbers, enabling an unfair 2 vote - 1 value advantage to the Northern Tamil populace. This anomaly has resulted in the incumbent presidents bending over backwards to appease the minorities and bartering the rights of the majority over the last three decades. Oblivious of the bloated electoral rolls, the Western media laments after each Sri Lankan election the poor voter turnout and wrongly attribute it to Tamil dis-enchantment and fear. Until a population census is conducted, the electoral rolls updated and a parliamentary seat re-distribution occurs, the Southern populace will continue to be denied a true representation of their vote in the parliament.